Pressure cook the Potato for 2-3 whistles. Once it cools,remove the skin and keep in fridge to firm. Blend the onion and tomato in mixer ,keep aside. Heat a pan with oil,splutter Mustard seeds,urad dal and curry leaves. Then add the grounded Onion-Tomato Paste,mix well.Cook it for 2-3 mins. Add Chilly powder,Coriander powder and salt mix well,and cook it for 3-5 mins. Cook this still raw smell goes out. Now add the peeled potato,mix gently & cook it for 15-20 mins in follow flame. Give a gentle stir in between. Once the potato roasted and coated evenly switch off the stove. Ready to serve with Rice (R) Chapathi. You can use regular potato instead of Baby ones.Dice the Potato and follow the same method. 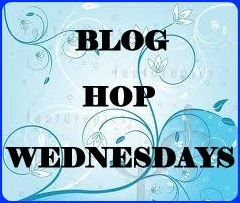 Click HERE to see what's going on in Blog Hop. wow this looks so yummy :) Best way to make potatoes! Love to have this yummy potatoes with roti...lovely..
ummy....the potatoes look really delicious! !..love the pics! looks really very nice prabha!! Potato roast luks yummy,first time here,follwing you dear.Please do visit my space. Hi Prabha,this uruzhai kizhangu kootuis an yumm combo with roti,ur pic luks nice dear. Lovely color, simply mouthwatering one.